Hi there! It's my turn to share my block for the Let's Bake blog hop! I'm sure you have been following along each week and have seen all the cute blocks included in Lori Holt's latest quilt. You can find all the information for her quilt HERE! 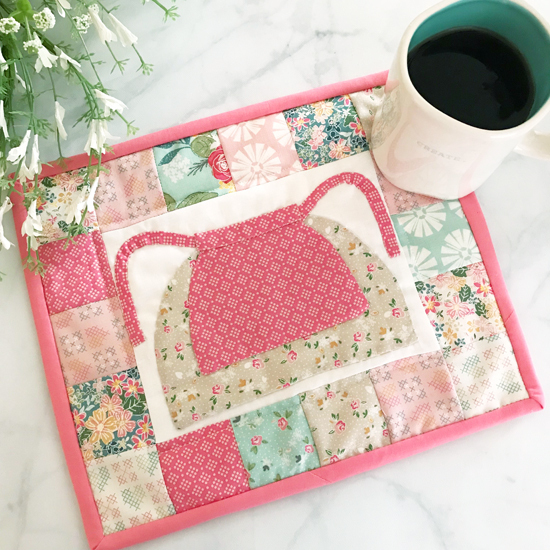 I decided to make a cute little mug rug with my apron block! I used Grandale fabric for my mug rug and I love how it turned out! If you want to make one, all you need to do is cut out some 2.5" scrappy squares for a scrappy border! Super easy, and it makes the perfect sized mug rug! It turned out so cute, and would make the perfect gift with a cute coffee cup. I think I'm going to whip up some more for gifts! 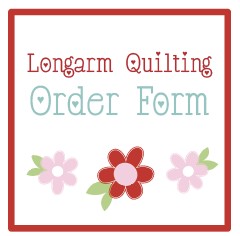 Be sure to stop by Lori's blog for the full block tutorial!